Look at a raw potato and you might visualize tater tots. Potato chips. French fries. A baked potato dripping with butter. The Martian character Mark Watney looks at one and sees survival. 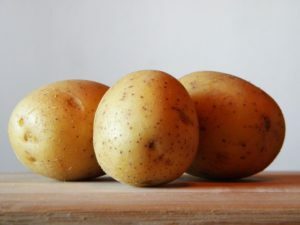 Readers of Andy Weir’s The Martian, including those who have joined the currently running American Chemical Society (ACS) ChemClub virtual book club, will recognize the humble potato as a key plot item. It’s a major part of Watney’s saga to survive until a possible rescue from his predicament of being left for dead on the planet Mars. He calculates that his remaining food will not provide him with enough calories to last until rescue. (Watney “spares you the math” in the book, but you can do the math yourself with the Think Like a Scientist: Back of the Envelope Calculations handout from the virtual book club resource packet.) His solution is to turn his living space into the first Martian garden, using raw potatoes sent with his mission team to use for a Thanksgiving meal as his planting material. The challenges are many. What are the chances for actually growing food on Mars, beyond the science-based fiction of the book? A view of the planet’s dry red landscape might suggest the chances are slim. Dig deeper into the issue using additional free resources from ACS. 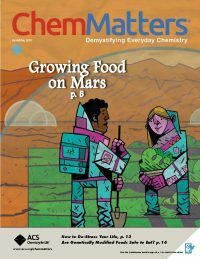 ChemMatters is a magazine designed for high school students to help find connections between chemistry and the world around them. 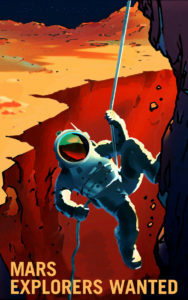 The most recent issue includes the articles “Growing Green on the Red Planet” and “Open for Discussion: Surviving on Mars.” The two pieces discuss the extreme conditions astronauts would face on Mars. 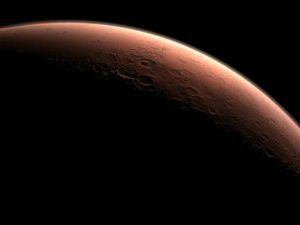 Although “Growing Green on the Red Planet” states that it is the most habitable planet in our solar system besides Earth, humans (and any plants) would face extremely cold temperatures, an atmosphere of 95% carbon dioxide, a lack of readily available water, and less than ideal soil. The article also touches on plant growth experiments done on Earth using volcanic soil from Hawaii to simulate Martian soil. Readers can also take advantage of two accompanying resources for “Growing Green on the Red Planet”: a Teacher’s Guide and Background Information. The Teacher’s Guide is packed with tools you can use with the article itself and extensions to take the article topic further. You’ll find an anticipation guide, student questions and answers, possible student misconceptions, links to lesson plans on the science of soil and the chemistry of fertilizer, and more. I found the beginning of the Background Information particularly interesting. 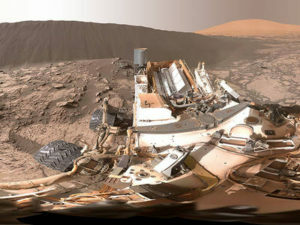 It summarizes the spacecraft that have been used to study Mars and the resulting data/information obtained by each. 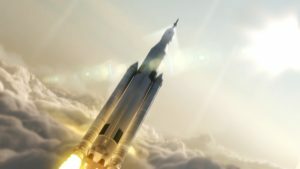 The first was in 1964, and a future mission is in the works. The ChemMatters site also highlights the video “Can We Grow Plants on Mars?” from D News. 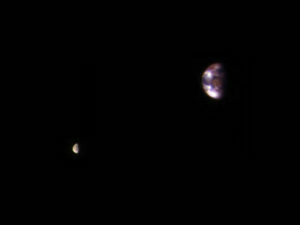 At three-and-a-half minutes, it could be a good way to kick off a discussion of the chances of Martian gardening. 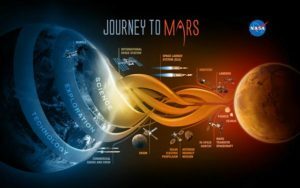 Together, these free resources are ways to link science fiction from The Martian with real-life connections to Mars and its possibilities.